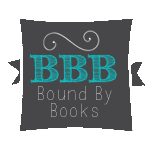 Bound By Books Book Review: Savage Mafia Prince by Annika Martin is LIVE! Time to meet Kiro!!! Savage Mafia Prince by Annika Martin is LIVE! Time to meet Kiro!! !